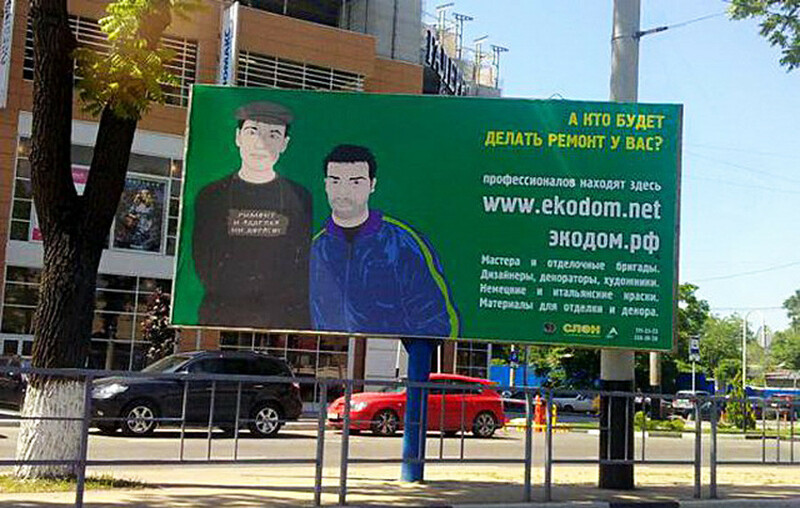 Russians rent billboard space to confess true love, wish happy birthday to a pal, and advertise as no one else does. 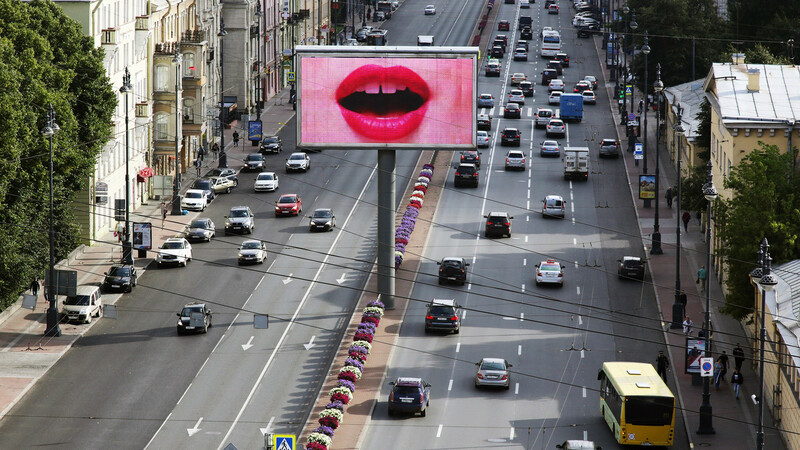 Some of these will blow your mind. 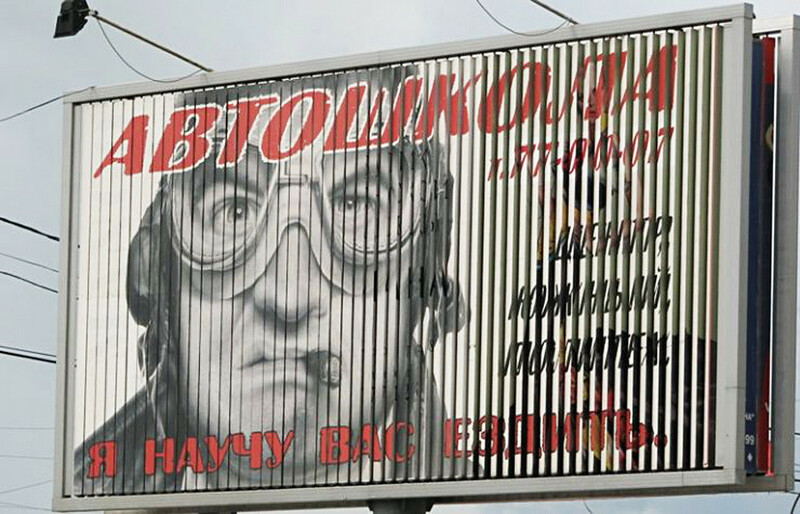 A crazy looking aviator is apparently the best instructor in town. 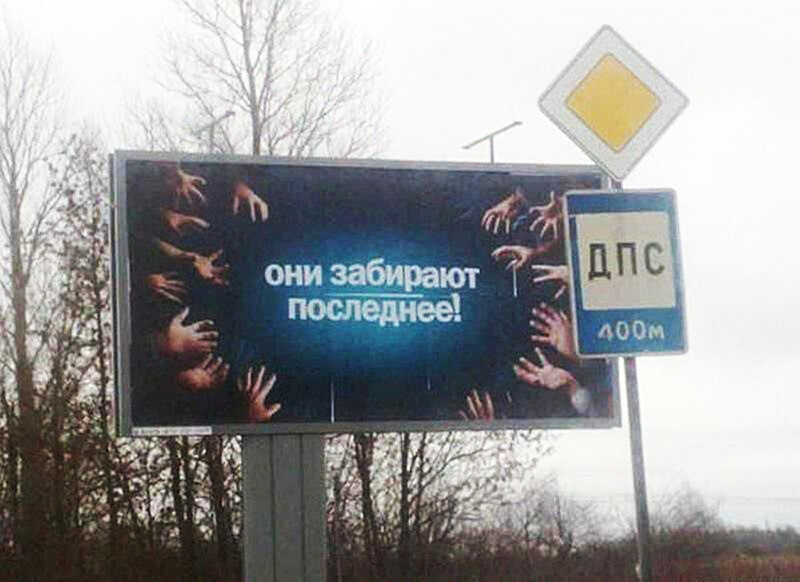 This public service ad has a dubious meaning when placed next to a sign that warns about a traffic police station 400 meters away. 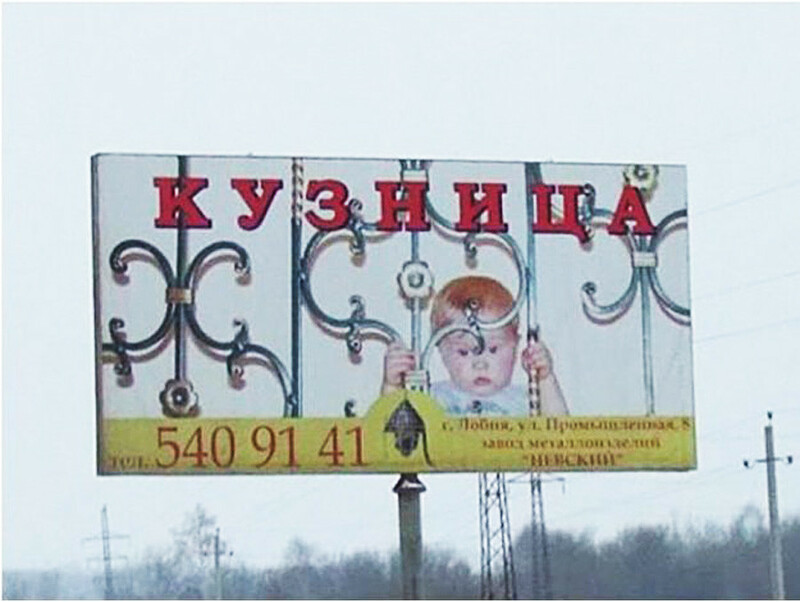 The kid, however, doesn’t look very happy with the service. This construction company’s name really cuts to the chase. 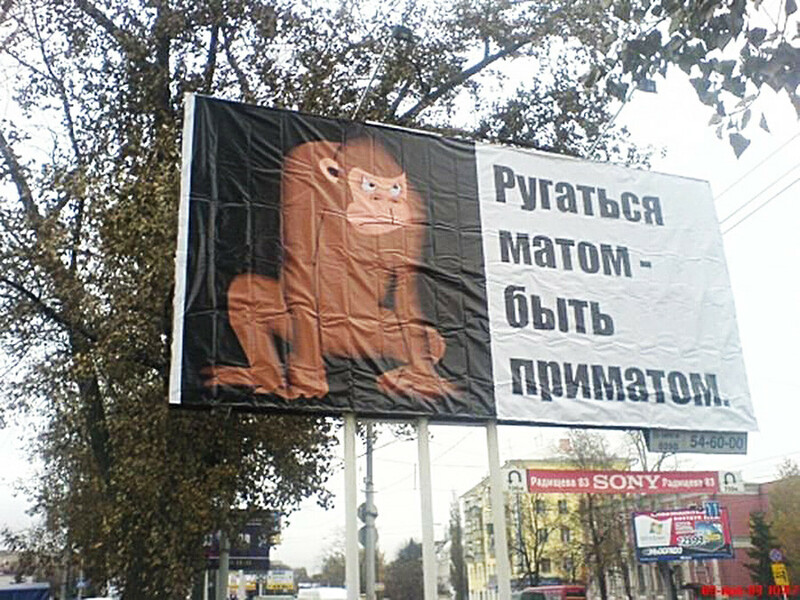 Radical measures have to be taken to shame folks from using foul language. 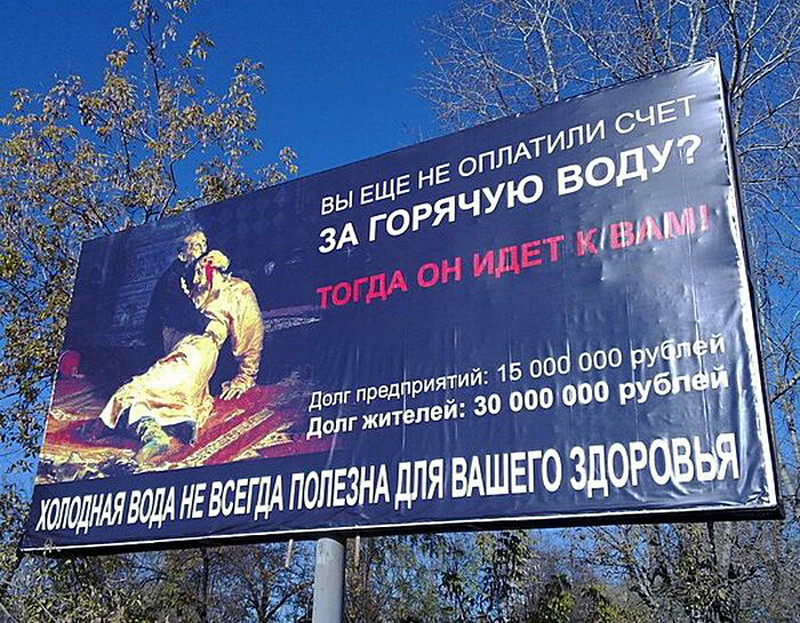 Some utility companies threaten customers with Ivan the Terrible tactics to encourage them to pay bills on time. We all believed it did. This bathroom equipment shop knows your morning routine better than anyone else. 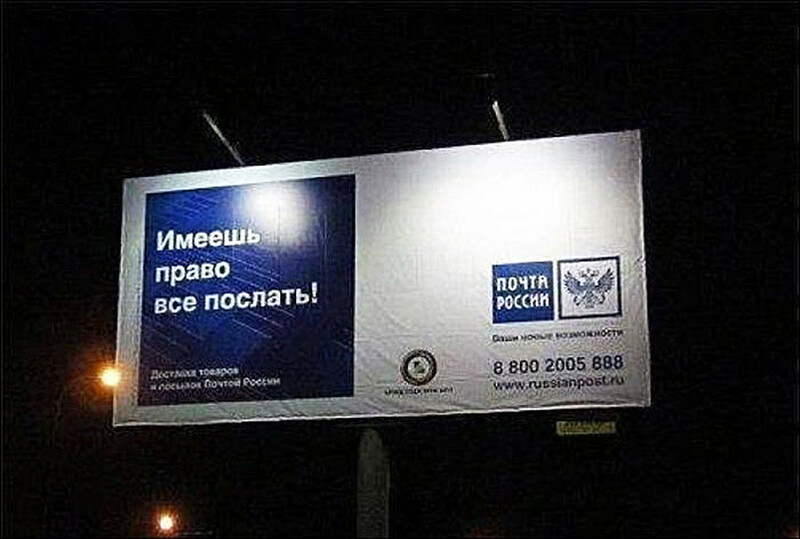 This doesn’t sound like a joke in Russia as the phrase also means "get hit in the ear." 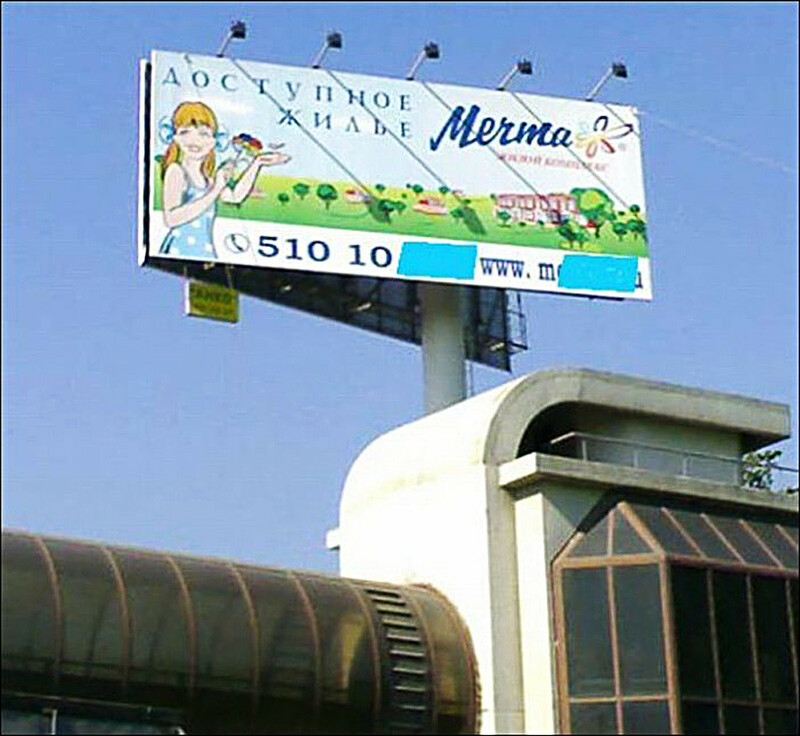 The billboard’s owners must have had a few troubles with migrant workers, it seems. 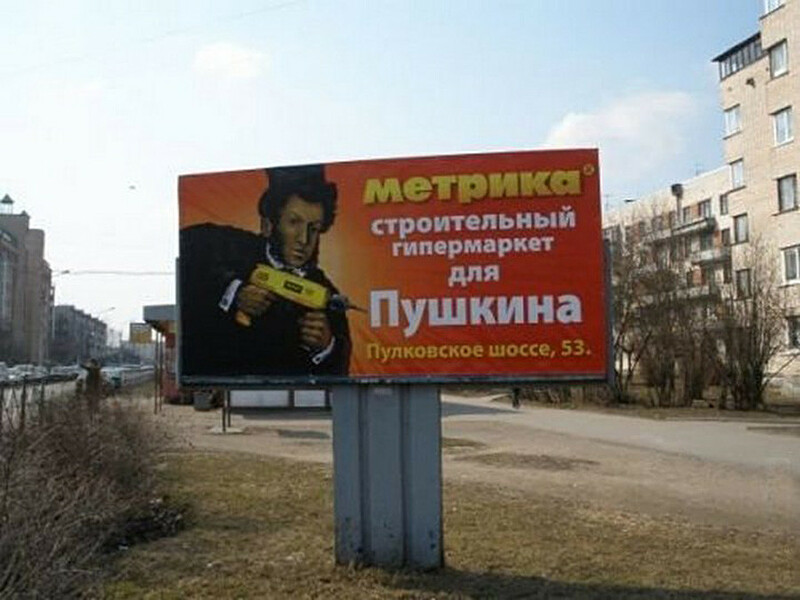 We don’t really know why Pushkin was chosen, but the poet sure looks like a real man holding a drill. 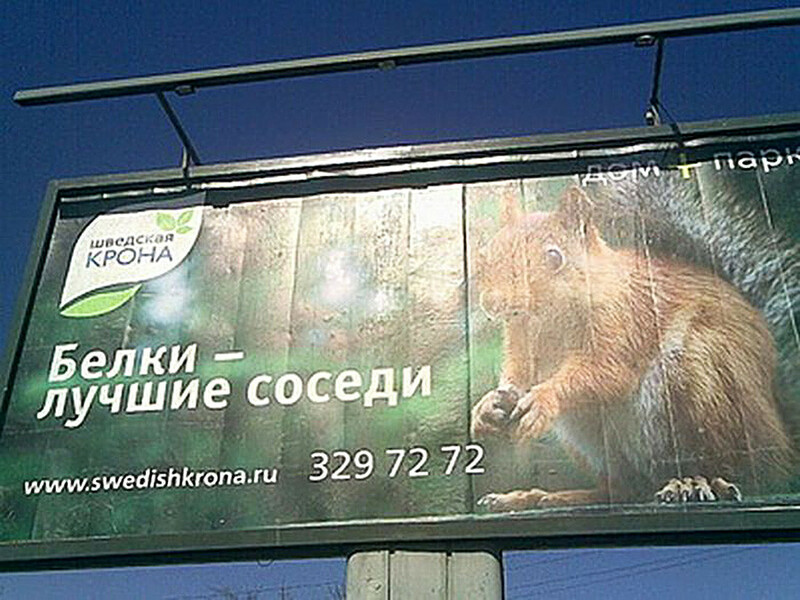 Every Russian agrees with this slogan by a construction company that sells houses in a forest. 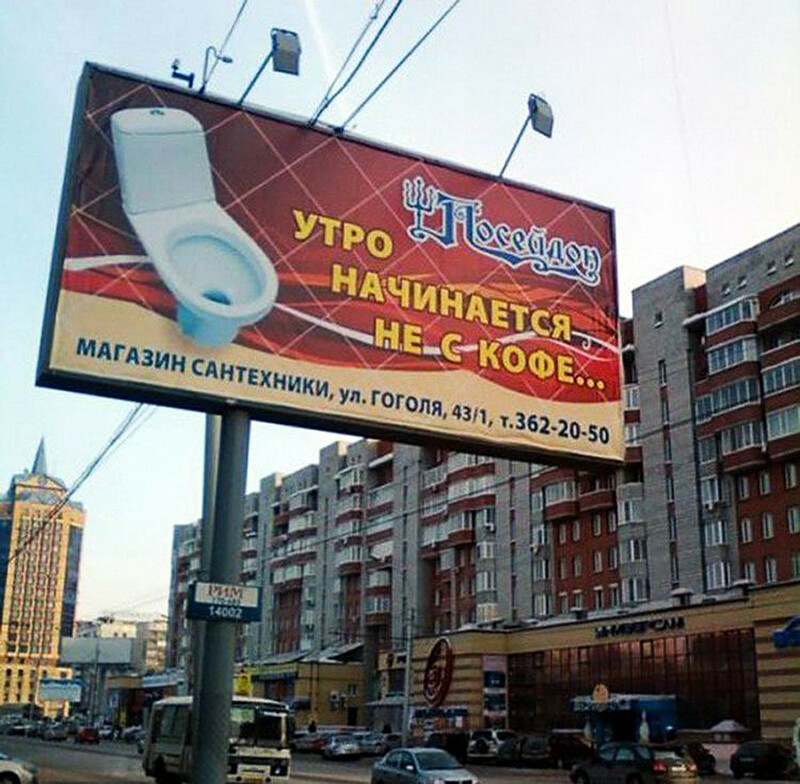 The owners have very specific aesthetic preferences. 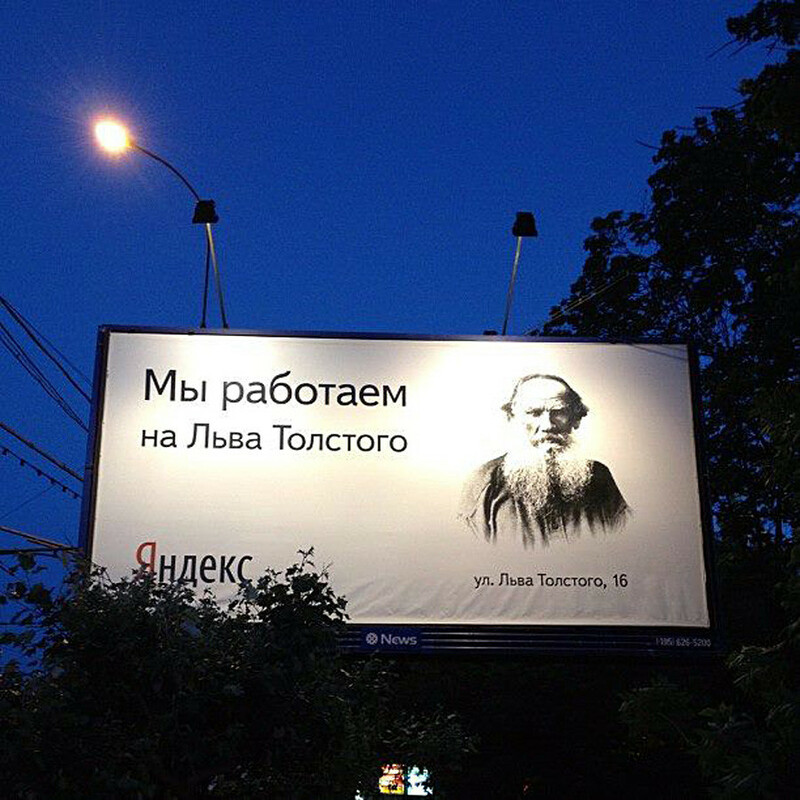 Russian tech giant Yandex only means to say that its office is located on Leo Tolstoy Street. 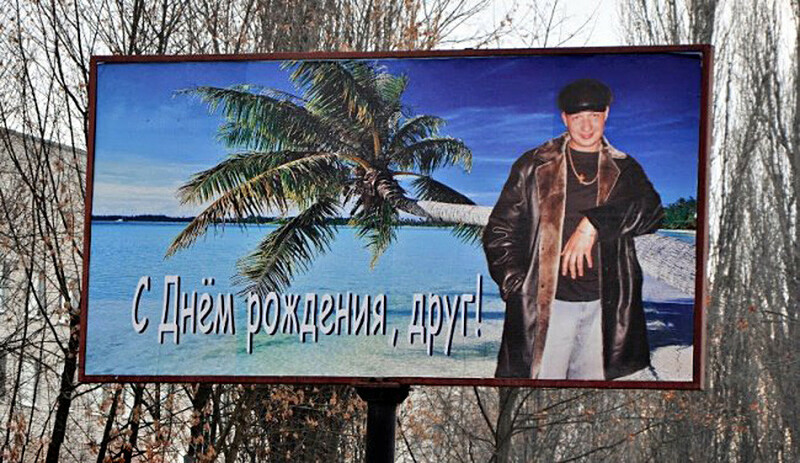 A big-hearted Russian man never skimps when looking for the woman he falls for. 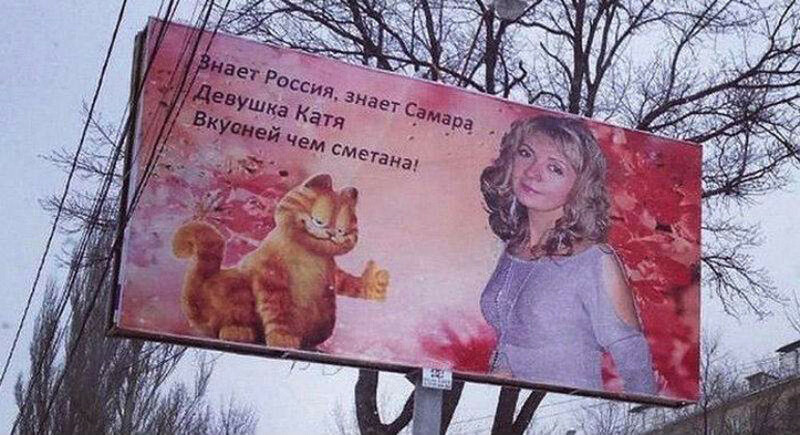 A rather odd compliment from an amorous gentleman, but the fine looking Garfield cat saves the whole risky love confession. 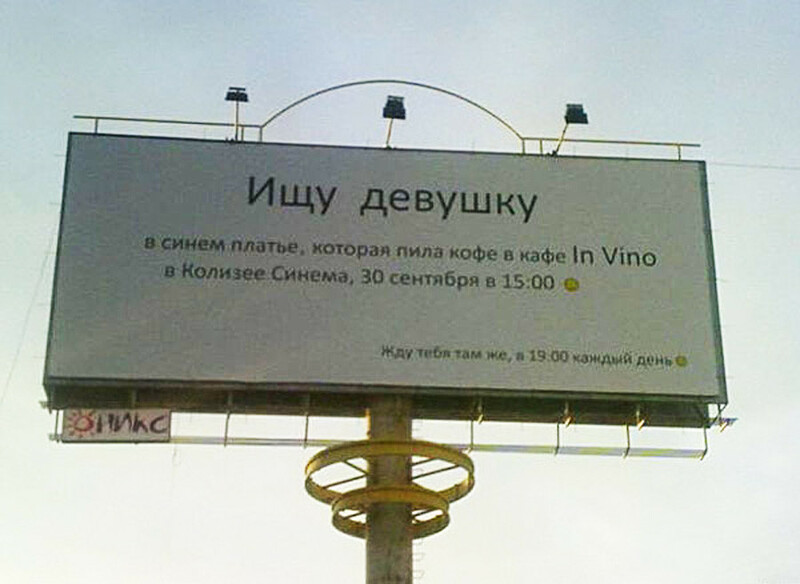 Russian girls also know how to surprise their men. This is what’s called ‘people’s creativity’ at its finest. 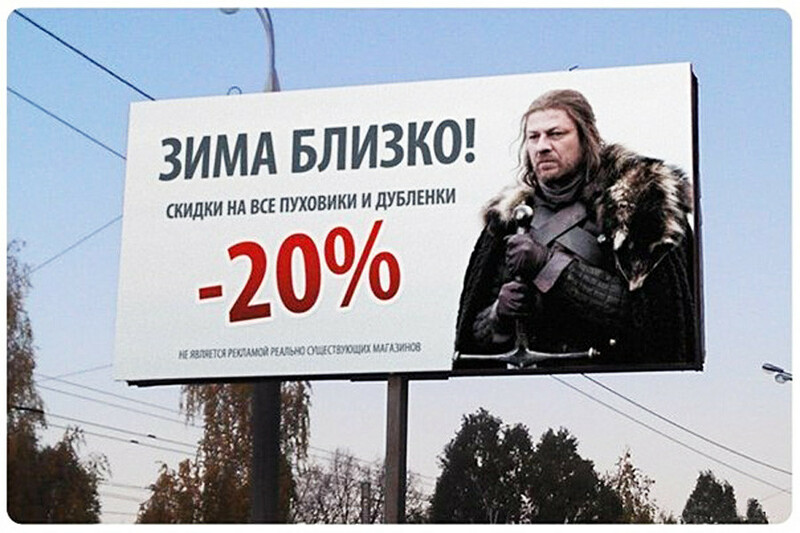 These coat sellers know what’s trendy these days and how to hype it. 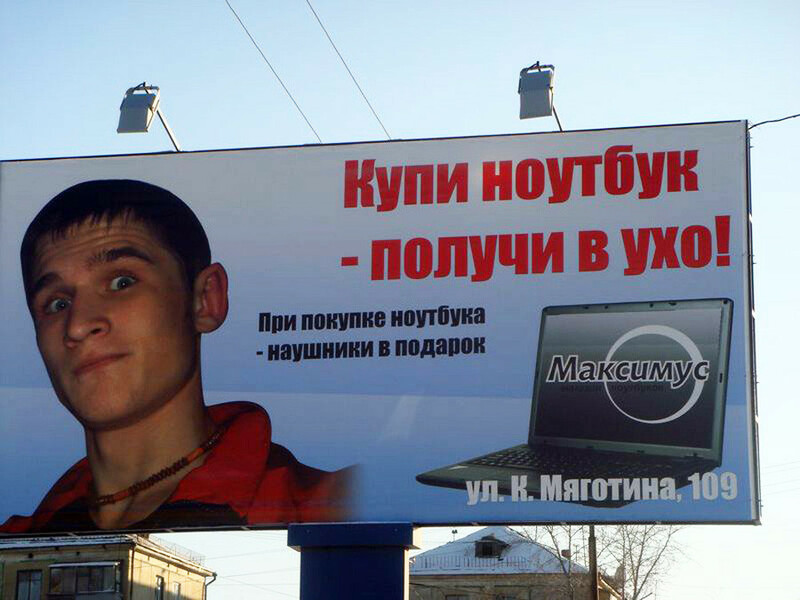 This ad exploits people’s stress a bit too much. 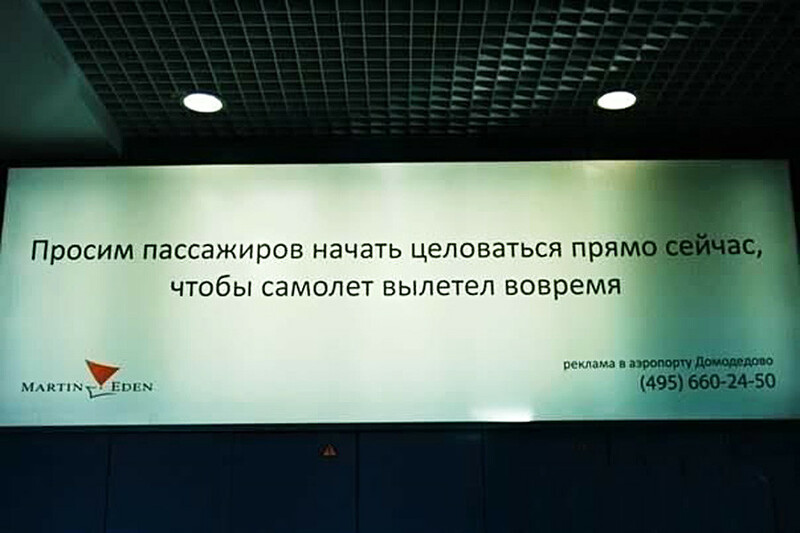 They’re talking sense at Domodedovo. 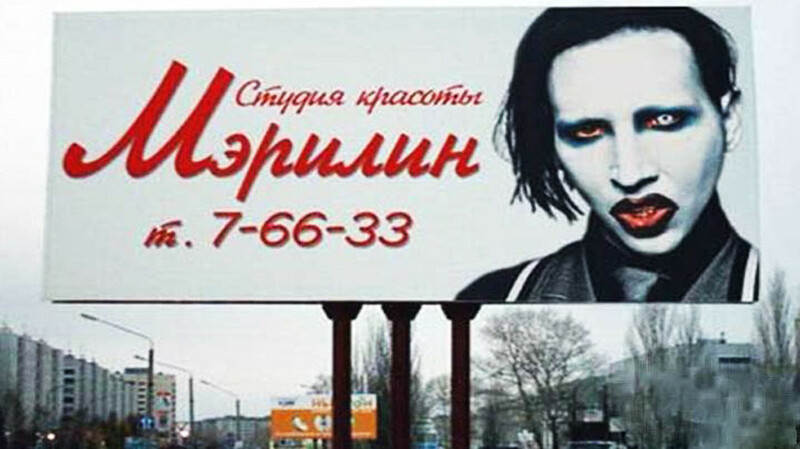 See how to entertain yourself if you happen to be in a small Russian town here. How did people in the USSR poke fun at the Revolution leaders?